The Kanpei Earth marathon inspired people to follow him and this year Edelweiss Travel Company has a great pleasure and really appreciate the partners help in participation in the second “Challenge Eurasia Marathon” of years 2011 – 2012 that is going along the territory of Eurasia continent countries. 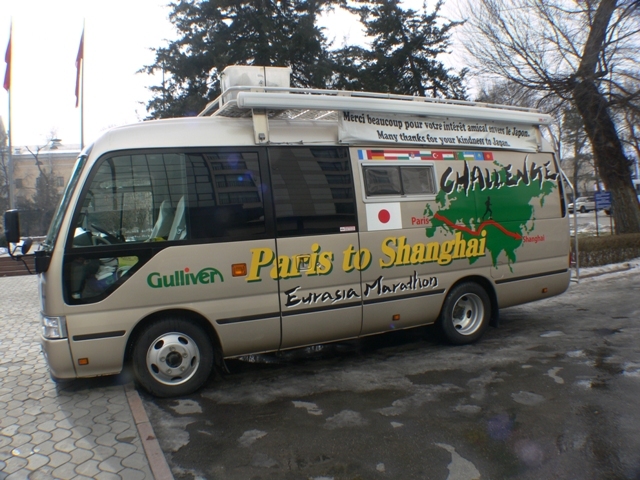 “Challenge Eurasia Marathon”, is unbelievable attempt of three Japanese unprofessional runners to realize marathon through the Eurasia continent, continuously running from Paris (France) to Shanghai (China), overcoming the distance in 13 500 kilometers. One of the marathoners is 71 years old. He will be the first person in the world history who will run the distance in 13 500 kilometers along the Eurasia continent in the age more than 70 years old. 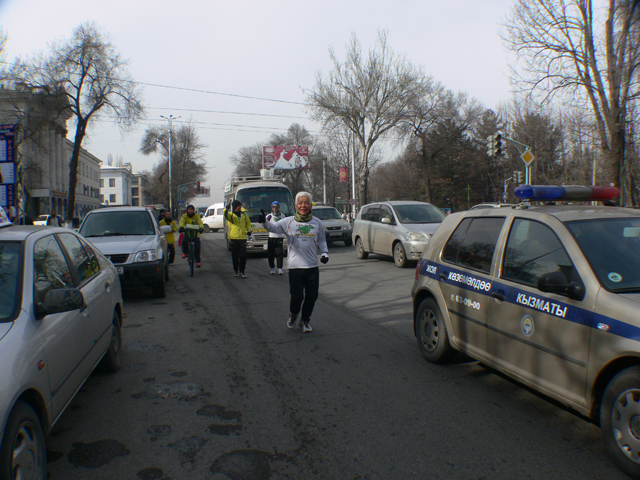 Marathoners started in Paris in June of 2011 and nowadays the group is successfully crossed the Kazakh – Kyrgyz border and continuing their way along China directing to Shanghai. All marathons participants are following to the all standard visa and customs procedures, juridical and administrative lows of all countries entire the way. Actually this is the first part of marathon. As soon as the marathon participants will reach Shanghai (China) they will take a flight to Sapporo (Japan) and further will run to Tokyo (Japan). We wish them a great luck and successful way to the finish marathon point. We keep a huge cheer for all marathon participants in our minds and hope to see them all again!